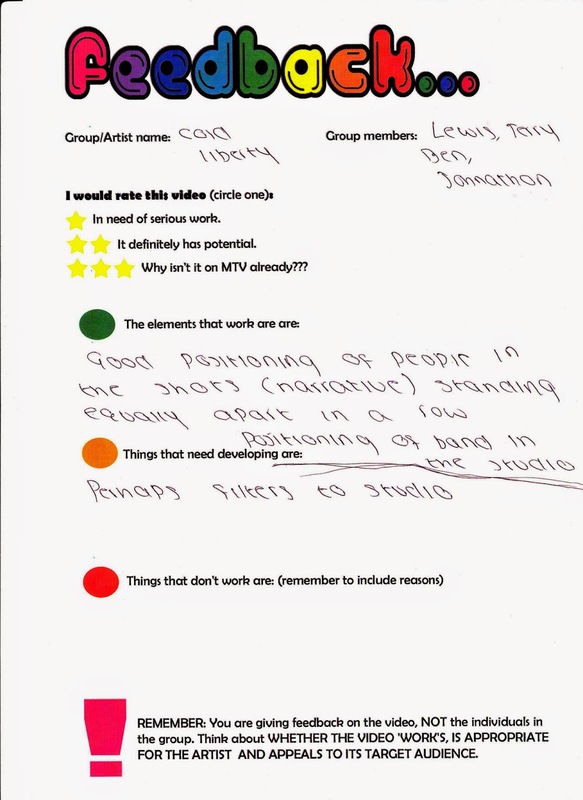 These are the feedback sheets from our class that we pitched to about our first music video draft. 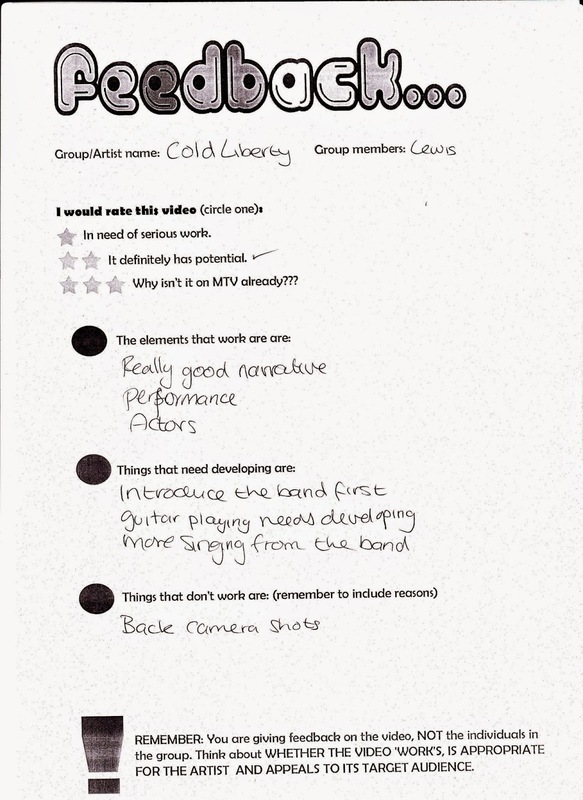 There are mix views about what people like throughout the pitch. People liked the positioning of the camera shots in the video, the narrative, performance. lip synching and the band shots. 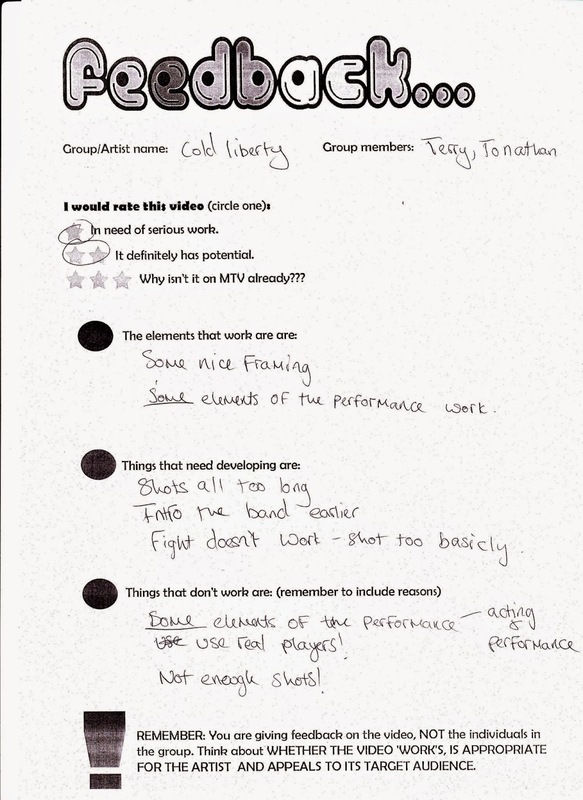 The parts that they want us to develop are we need to learn how to play the guitar, the zooming shot of the mask's eye needs to be improved and our shots are too long and the need to be shortened.